Marangu is a term derived from the native Chagga language and the direct translation is “full of water”. This description corresponds with the luscious, green pastures and beautiful landscapes accordingly. 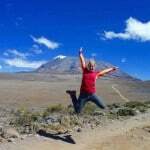 The Marangu Route is highly frequented and it is the oldest route travelled. 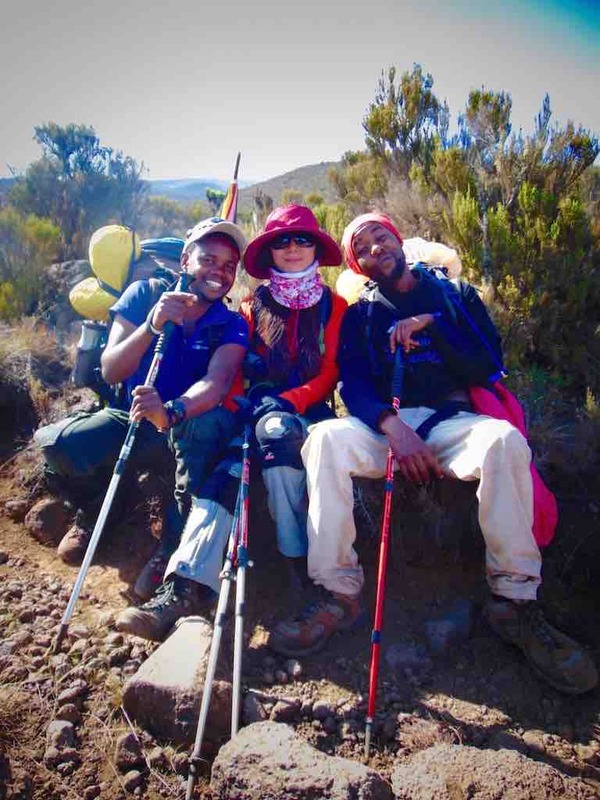 The Marangu Route is said to be the easiest way to the summit – it ascends gradually which allows for a generally effortless trek. 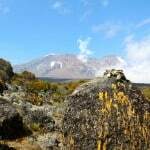 It is the only route that approaches the Kilimanjaro from the southeast. 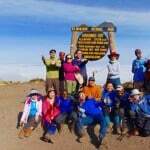 The required time needed to complete the hike is 5 days experts recommend a 6th day for extra acclimatisation on the mountain. The accommodation sets this route apart from the others as there are dormitory style sleeping huts. Your own sleeping bag is required but the huts have relatively comfy mattresses and bunks. The Mandara and Kibo Huts can each accommodate 60 people and the Horombo Hut has 120 beds. The huts have communal dining halls and you will have an opportunity to purchase soda, bottled water and beer. The huts have basic washrooms that range from installed plumbing and running water at the lower huts to ‘long drop’ toilets and buckets of water at the Kibo Hut. 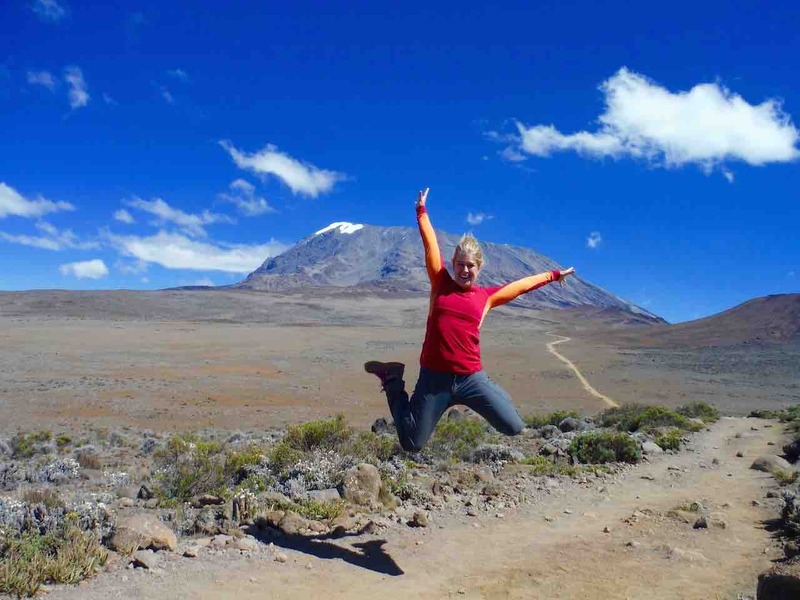 The 7 days Marangu Route will always be the timeless trip to Africa’s rooftop, however, the other routes tend to provide more scenic variation. We will send a driver to the airport to pick you up and take you to the hotel in Moshi. Orientation will take place at the hotel. Our guides will highlight all the important details regarding your trek and an inspection of your trekking gear will take place. You will have a chance to familiarise yourself with your guides, chefs and porters before departing the hotel in Moshi. 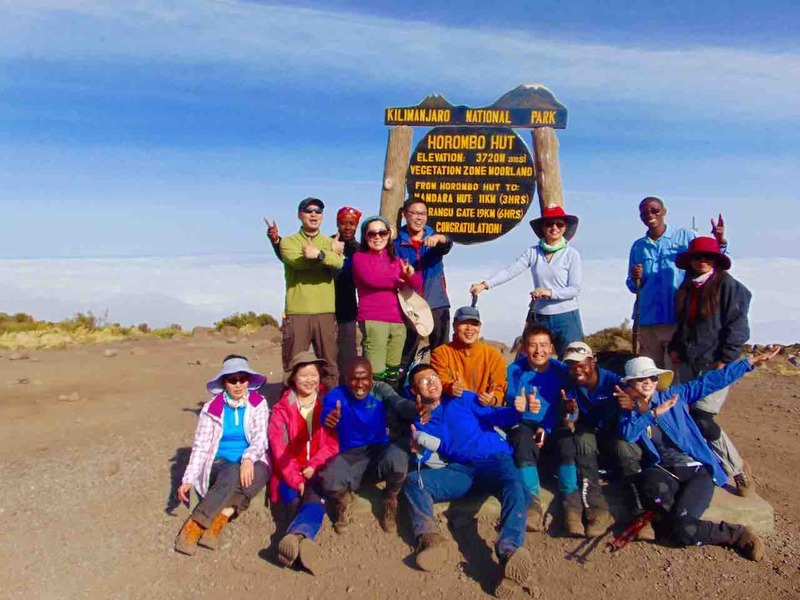 You will begin your journey to the summit of Mount Kilimanjaro after completing the gate registration. A great length of the hike is spent venturing on a narrow trail that is enclosed by the evergreen rainforest. Reaching Kisambioni is a milestone as it signifies that we are at the halfway point of the trek. We will sit down and enjoy a picnic lunch. We will continue walking through the rainforests of Kilimanjaro after lunch. Our final destination is the Mandara Hut. Once we arrive you can decide whether you want to relax for the rest of the day or take a leisurely stroll to the Maundi Crater. If you face the northwest you will see the striking Mawenzi Peak which resembles a crown in the sky with its prickly edges. Turn to the east and you will see the picturesque landscapes of Taveta. Visiting on a day with clear skies will ensure that you get maximum viewing pleasure. You will spend the night in the A-frame Mandara Huts which accommodate up to seventy people and feature beds with mattresses. There are several sleeping huts and a dining area. We will start heading towards Horombo Hut after breakfast. 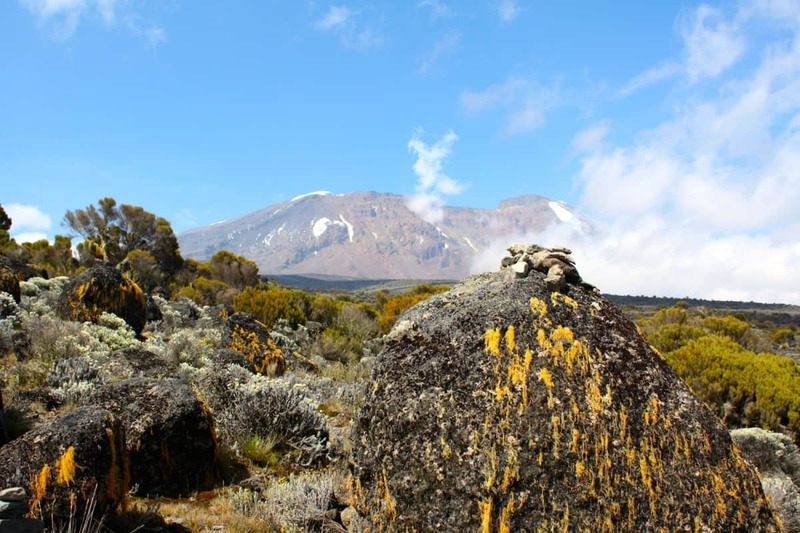 The environment will shift drastically as the 7 Days Marangu Route requires us to travel through Mount Kilimanjaro's moorland, a rock-strewn desert plain with succulent plants. There will be a picnic lunch at Kambi ya Taabu during the hike. If the skies are clear you will have a chance to witness the scenic views of the Mawenzi and Kibo peaks. We will arrive at the Horombo Huts at approximately 3:00pm and the afternoon can be spent relaxing. The Horombo Huts are exceptionally busy but they’re considered to be the finest huts on Mount Kilimanjaro. The little, A-frame huts can house a maximum of eight people and provide suitable lodging for hikers ascending, descending and acclimatising. They can accommodate a maximum of 120 hikers with additional room for porters, chiefs and guides. After breakfast we will hike through the moorland and the alpine desert region of Mount Kilimanjaro. After hiking for about an hour we will encounter a small mountain stream called the Maua River. Once you pass Maua you will notice that the terrain gets smoother and the vegetation starts to diminish. We will have an appetising lunch at the Middle Red Hill. 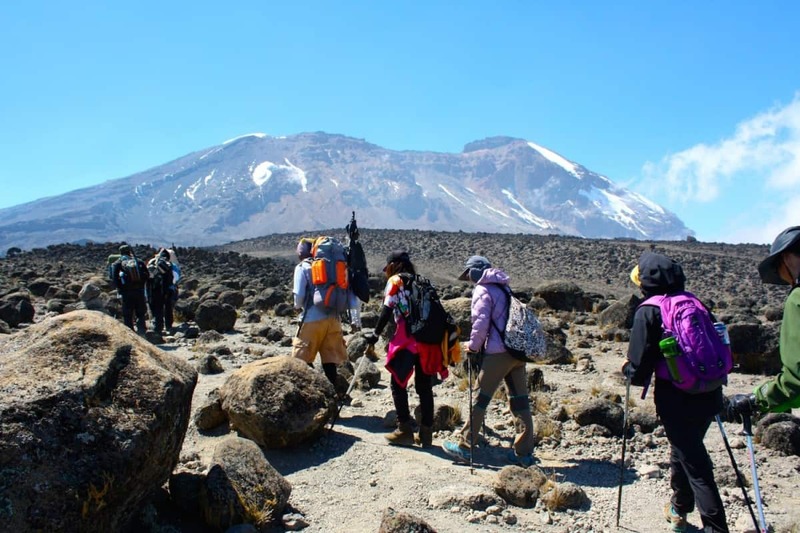 We will continue our trek shortly after lunch and spend the next tour hours traveling to Kibo on a steady incline through Mount Kilimanjaro's Saddle. The silver lining to traveling through a baron dessert is the breathtakingly stunning vista of the Kibo and Mawenzi peaks. You will reach the Kibo hut in the afternoon. It is recommended that you rest and prepare for your midnight climb. The final leg of your journey is the ascent to Uhuru Peak which has been award the title ‘The Roof of Africa’. We will leave shortly after midnight and begin with the strenuous five hour hike to Gillman's Point on the crater rim. This is considered to be the least challenging of the three crater ascent paths but it is still an arduous hike. 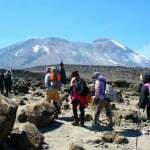 William’s Point is the first major rest stop and it usually takes two hours from the Kibo Hut to arrive at the five thousand metre mark. After thirty minutes of hiking you will reach the rocky bends and twists that continue for over six hundred metres or until you reach Gillman’s Point. The incline from Gilman's Point to Uhuru Peak increases gradually consequently it is not a difficult hike. You will feel tired and this part will take long due to the high altitude. The crater rim hike will last about two hours. Once you reach the summit, we have allocated time for you to take some photographs and celebrate your triumph. 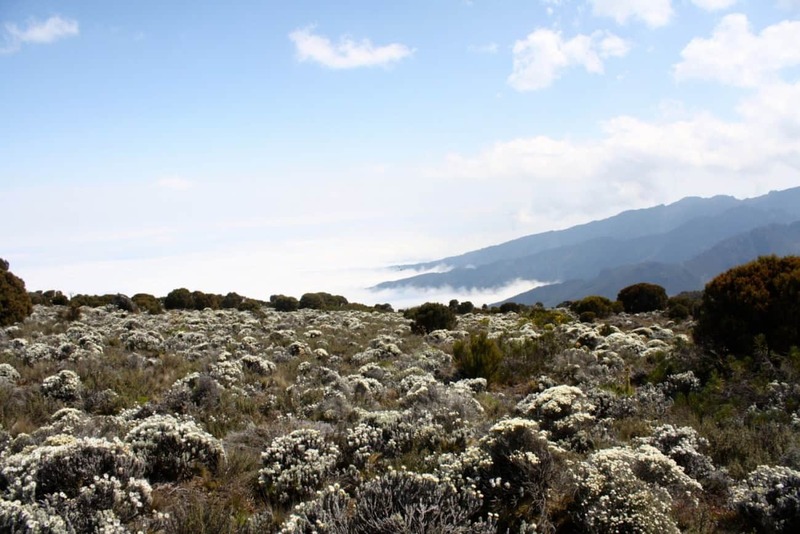 We will start descending to Horombo Hut – our final stop on the route. The route down the summit has magnificent views that you could not see when you were climbing the mountain. You will have a chance to stop at the Kibo Hut to recollect yourself and enjoy some energy dense snacks. We will reach the Horombo Huts in the afternoon and you can spend the time enjoying your last moments on the mountain. We will finish the trek by descending to the Marangu Gate after breakfast. The final hike is simply magical. You will hike amid the gods in Mount Kilimanjaro's tranquil cloud forest. We advise that you watch your step as the trail can be fairly slippery. Our vehicles will be waiting at Marangu Gate to drive you back to Moshi. You will have an opportunity to buy sodas and souvenirs to prove that the 7 Days Marangu Route was conquered. A driver will bring you to Kilimanjaro Airport, from where you will connect your flight. If you’ve opted to go on a safari – well, that’s a different adventure and we’ll be thrilled to arrange it for you too!